Description: Sierra Pacific Decor has products ready to personalize, and create one of a kind items. 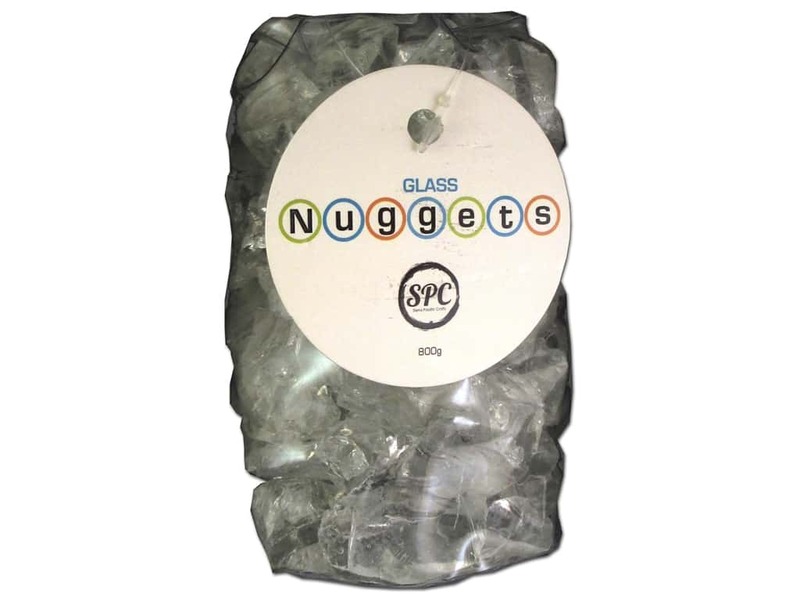 Nuggets 2-4 cm Dollops Irregular Shapes Clear - Each gem is irregular in shape and has ruff edges. Clear and frosted areas on each gem as well. The largest measures approximately 1.25 in.